omid (mashhad, Iran) on 22 December 2018 in Landscape & Rural and Portfolio. ... hand in hand ! Very good this photo from the people in the fog. lovely mist with the hazy silhouettes of the two people there ! 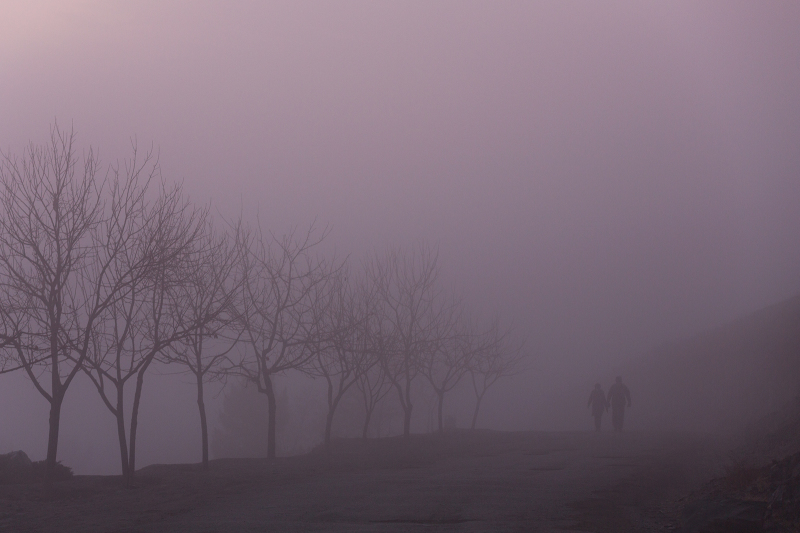 I like the mood of your photo with the mist that preserves the intimacy of this couple! Out of the mist. A beautiful and moody image. Soft, misty and mysterious. There seems to be a story here. Great shot. Beautiful composition and atmosphere ! A beautiful misty atmosphere in this photo. Wonderful atmosphere! I love this foggy image. It is beautiful! super composition in this fog shot. the scale and the positioning of the walkers work extremely well. Very beautiful atmosphere of mist! A romantic scene and dito setting. I love the atmosphere of mist. L'ambiance est parfaite, bravo !